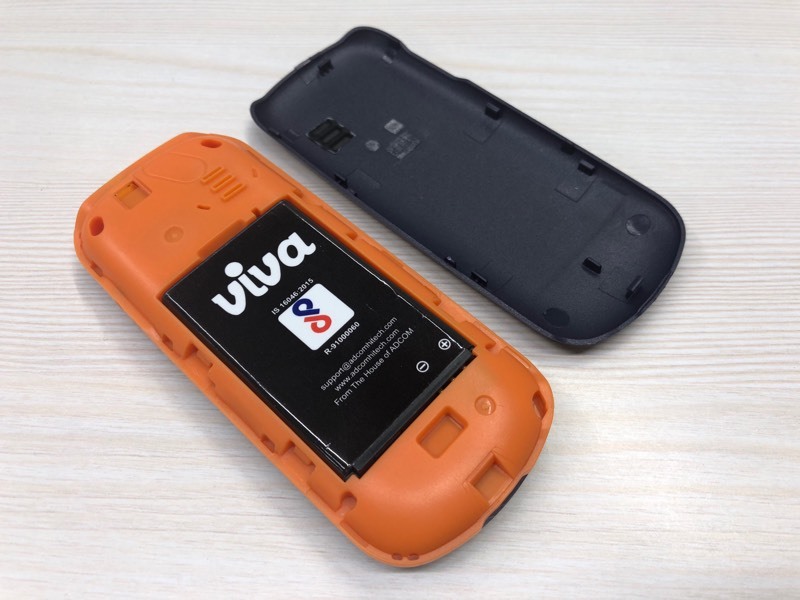 Viva V1 is world’s cheapest mobile phone! Boy, oh, boy! This feature phone is a wonder. That is what your reaction would be once you hold Viva V1 in your hand knowing that it costs just INR 400. Now that is a tech under 500 you must own. Today, we are exploring the world’s most affordable mobile, which also happens to be a Made in India mobile phone. Isn’t that a proud feeling? Well, you will feel proud once you see what it has to offer for the mind-blowing price tag. Design – How does it feel in hand? Even if you have tiny hands, it will easily fit in your palm. 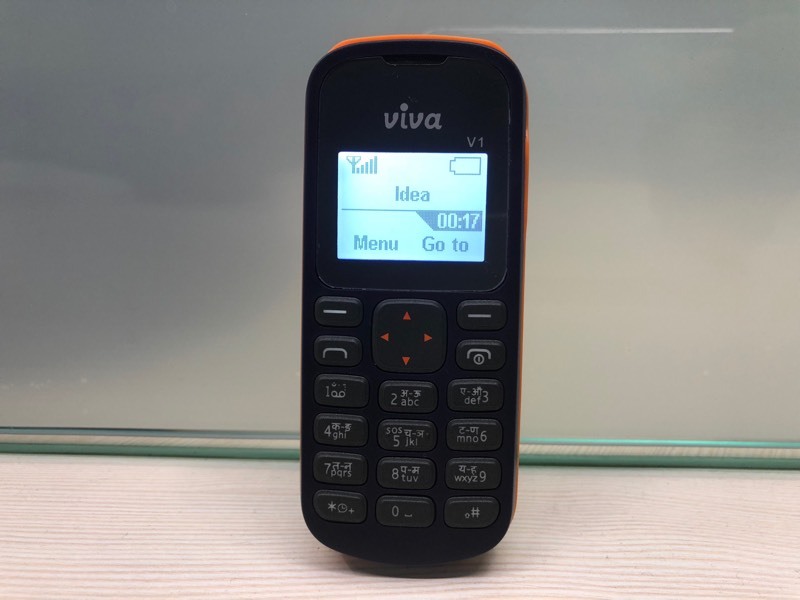 Easy to carry, lightweight, the Viva V1 isn’t the best feature phone you can have in terms of build quality and features, but it is indeed a phone that one must own if all they are looking forward is to get connected. This Adcom mobile offers you that for the minimum investment cost. Display – What did we see in this? We saw everything that it wanted to show us! The monochrome display of 1.44-inches is visible at any time of the day. We did not struggle at all in terms of viewing angles either. This tiny display comes with enough brightness showcasing the display content properly. Hardware – How’s the keyboard performance? The primary concern on a feature phone is the keyboard performance. If you are worried about that, we would say you don’t have to. Cuz, the keyboard experience on the Viva V1 is pretty neat. The keys are quite soft and they have enough space in between so that you don’t accidentally press on any other key. Overall, we believe this is the best keyboard you’d get on a phone costing below 500. Battery – How long can it last? Feature phones are known to offer long-lasting stand-by mode, but unfortunately, this one doesn’t last longer than three days when on standby. 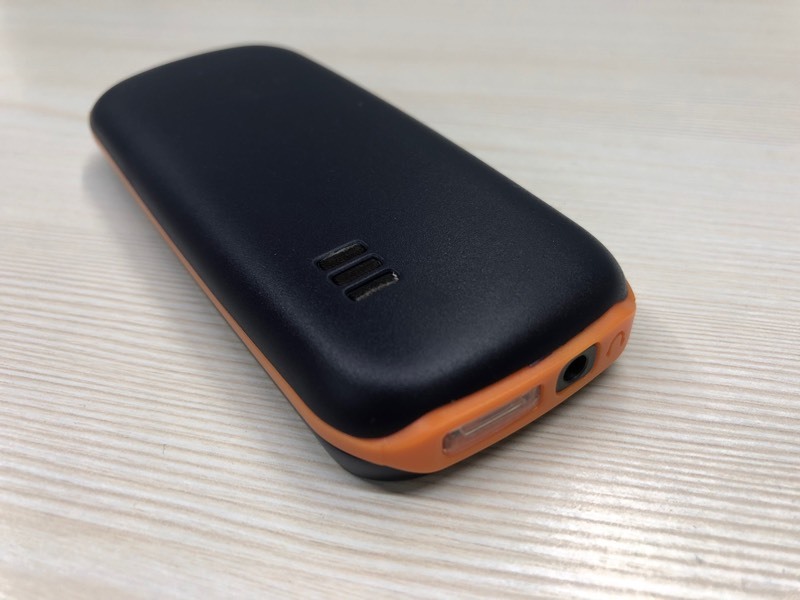 Due to lack of space, the tiny phone could only fit a 650 mAh capacity battery, which isn’t big for a feature phone. But this should not be a deal breaker, cuz three-day standby and a day’s battery life is still promising. What are the standout features on Viva V1? > Made in India: Adcom has manufactured this mobile phone in India. You don’t have to rely on Chinese companies now. > Torch Light: Rural India is unlike Urban India where there is a shortage of electricity. Meaning there are frequent power cuts, which is why a torch light comes in handy on a mobile phone. > FM Radio: Mobile makers are slowly removing the FM Radio functionality, but Adcom embraces the technology, cuz it is still a one-stop destination for entertainment in most of the parts in India. > Snake Game: Talk about the entertainment, Viva V1 comes equipped with a legendary snake game, which Nokia generation would be familiar with. Why Adcom made Viva V1? The purpose behind making this handset is to empower the rural population with a communication device that overall offers a good set of features. With low purchasing power, these people can’t afford feature phones costing above 1000 bucks. Moreover, not all basic phones come with such impressive features as we saw on the Viva V1. 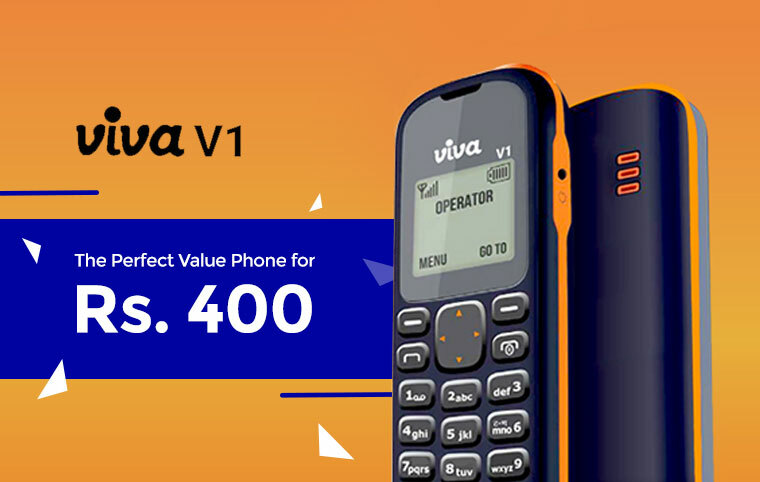 Should you buy the Viva V1 feature phone? Yes, you should buy it! But not for the price tag it comes with but for the features it offers. Equipped with a range of features that one would enjoy on their feature phone. Viva V1 should be awarded the title, “Mobile of the Nation”. Not only its the cheapest mobile phone in the country, but it also sports all the essential features one would like to have it on their basic mobile phone. Let us know in the comments section if you would recommend this feature phone to anyone in your circle? Previous article Quit cribbing about inflation! Here’s the best tech under 500. Next article Xiaomi Redmi 5 - The Ultimate Powerhouse has Arrived!